You read our review HERE, and now is your chance to experience Glass Dharma for yourself! The winner will get a $25 gift code to Glass Dharma to choose your favorite items! I like the Amber decorative dots straws. I like the beautiful bends. I like the decorative dots straws in the smoothie size.. I like the beautiful bends - LOVE these. I like the decorative dots straws. I love the smoothie straws! I like the beautiful bends iced tea size glass straws. I like the glass dots collection! I have the smoothie ones and love them!!! I would definitely get those or the mini ones. I like the smoothie and the tea straws seeing as that is what I would be using them for the most and my kids and friends would be using them for too. Awesome giveaway thank you. Happy holidays! I love the decorative dots! I love the glass dots straws. I have several of these. I like the Beautiful Bends in smoothie size! I love the decorative dots straws, so do my boys! I like the decorative dot straws of course! The Glass Dot Straws are beautiful! I love the decorative dots set! I love the glass dots collection! I like the slightly bent! I like the smoothie sets :c) The decorative dots are cool too! I like the Beautiful Bends drinking straws! I like the decorative dots and the beautiful bends! 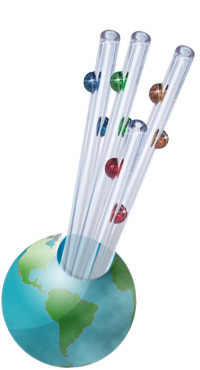 I would love the simple elegance 4 pack of the 9 inch straws. love the the simple elegance extra long drinking straws! I like the Bubble Tea Decorative Dot Straw in Blue! The decorative dots are fun! I like the set of four decorative dots drinking straws with one cleaning brush. I like the bendie straws! I like the decorative dots! I love the Decorative Dots.